April 20 and 21. Friday and Saturday night. PM me if you have a non TORC legal engine and want to race. I'll give you the contact info for the person at USAC you need to talk to. When is the dates on this? If someone wants to come that has something out of spec with 2012 TORC rules we can deal with them on an individual basis. 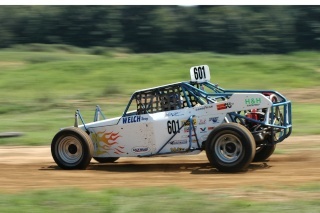 The Super Buggy race on Friday will be part of the Live SPEED broadcast and will have a segment in the Saturday television that is part of the SPEED docu-reality show. Entry Fees will be $275. Sounds like $1500-$2000 to win. If your engine doesn't meet TORC rules, contact them and see if they'll let you run.